Association Protectora Amigos del Caballo, set up to defend & protect horses and offer a second chance by adoption. 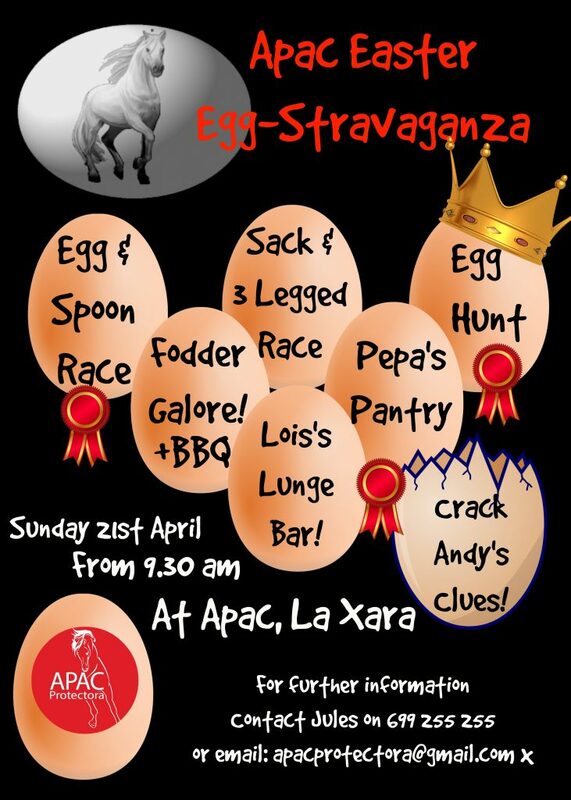 A Great Easter Egg- Stravaganza! Games & Easter Egg Hunt – Crack Andy’s Clues to find the Eggs. 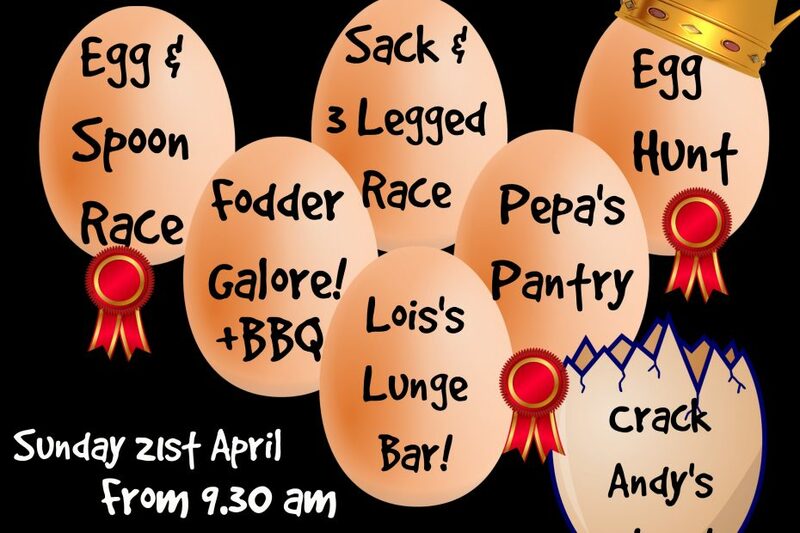 Egg & Spoon Race, 3 Legged Race, Sack Race…..
Join us for a fantastic morning out with our volunteers, supporters, horses, dogs, cats & goats. Your Donations are important to help our Horses.